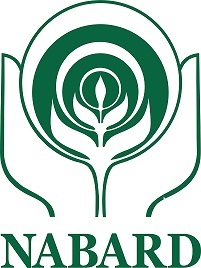 NABARD Assistant Manager Results 2018 : National Bank for Agriculture and Rural Development (NABARD) has done with the Assistant Manager has written test conducting process recently. Many of the aspirants seeking to get NABARD jobs have competed for the Assistant Manager written test expecting their dream career. The NABARD has also released the Assistant Manager answer keys for the availability of aspirants; the answer key was released for NABARD Assistant Manager written test. Aspirants come across the examination have checked answer keys and estimated the scores. All the aspirants appeared for the NABARD Assistant Manager written test and keenly waiting to download the results have to wait for few more days, The results are going to be announced on NABARD official website, nabard.org. Candidates can keep checking the official portal on the frequent basis to download the results. National Bank for Agriculture and Rural Development is the National level organization. Many of the aspirants seeking to get jobs in NABARD clashes for job opportunities. It annually announces various recruitment notifications for the aspirants. NABARD has recently drafted a recruitment notification for 92 posts of Assistant Manager (Grade A) and invited applications from eligible aspirants during the scheduled dates. A huge number of hopefuls interested in getting job in NABARD have applied for the Assistant Manager posts in NABARD. The NABARD is going to select the aspirants on the basis of their performance of preliminary examination, mains examination, and interview rounds. As part of the selection process, the NABARD has conducted the preliminary examination on the announced date. Aspirants come across the preliminary examination are eager to check the results. Candidates need not worry. The NABARD is going to release the results after 3-4 weeks after the examination. Candidates can stay checking the NABARD official website, nabard.org to download the results. NABARD Mains exam will be conducted on 17th june 2018. Candidates appeared for the NABARD Assistant Manager written test can check the last year cutoff marks for reference. Here the sectionwise and categorywise cutoff marks of 2017 NABARD Assistant Manager examination. Candidates can check the cutoff marks for reference. The pdf file only shows the roll numbers, when will we get a scorecard telling us how much we scored in each section? You don't have to fill your registration number. Just download the PDF file attached with the notification, and you can match your roll number. Sir, i am not able to get any such kind of information in which i have to fill registration number and password according to your instruction. Kindly help me to check my NABARD result.